And please write back saying how much money you would like. 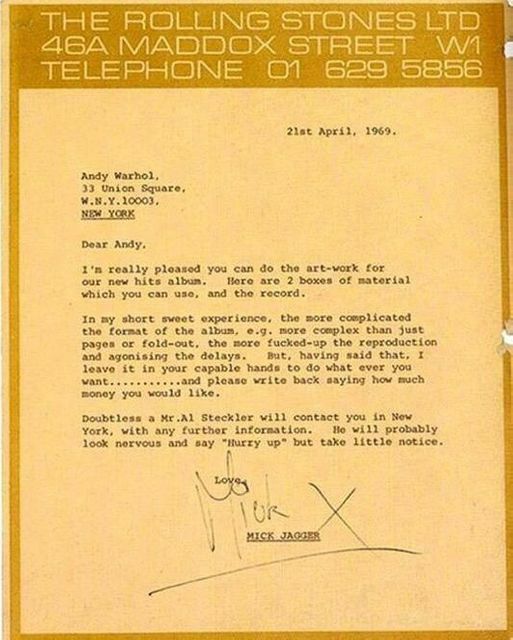 A charming letter commissioning the Sticky Fingers album sleeve from Mick Jagger to Andy Warhol. Proving once again that you don't need to be a rotter all the time to be successful. Hurrah for young Mick.